What is Gyokuro green tea? A very special (and pricey) Japanese green tea. Gyokuro is also poetically called Jade Dew, which is a literal translation from Japanese. It accounts for less than a half percent of all Japanese teas produced. This treasured tea is grown under the shade of straw covers for about 3 weeks prior harvesting. That allows to slow down the leaf’s growth. As a result, tea leaves grow thinner and tender, accumulating more amino acids and flavor. Gyokuro produces pale green (hence the name) infusion, balanced and delicate, with very little astringency. Gyokuro is praised for its complex flavor with sweet grassy notes and mellow “steamed” taste characteristic to the finest of Japanese teas. An exquisite and complex Japanese green tea. 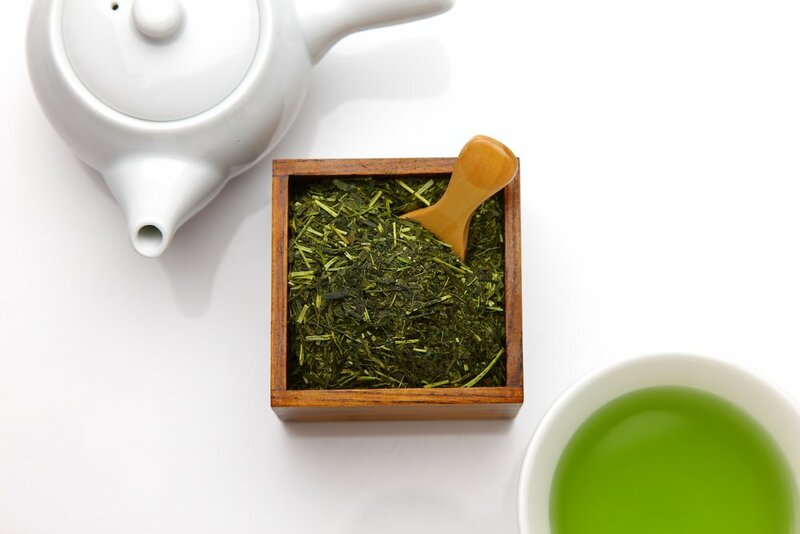 It also known as Jade Dew Drop tea, is one of the finest, most expensive and highly sought after Japanese green tea that has been noted for its complex, refined flavor. Top-grade from the Yame region, known for its tea making traditions. First-flush, handmade premium japanese tea. Contains only tender leaf tips and has a sweet and slightly fruity taste. Shade grown before harvesting results in fresh, flowery aroma and mild sweetness.